The confusion over ghee for us Indians began when we believed it created both Kauravas and cholesterol! "Avoid oily, spicy, rich food" — This one line from a cardiologist must have banged the last nail into the coffin of ghee in Indian kitchens. By that time, fast food already started invading our lives with its two-minute magic. Apparently, that seemed ‘not unhealthy’ as we were just boiling a lot of it in water, without knowing the precise ingredients. And whoa! That was all we needed to do. 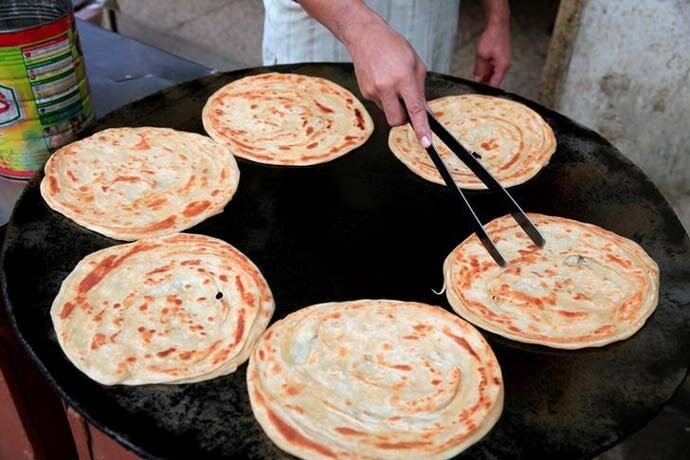 So, bye-bye, ghee-soaked parathas at breakfast. Ironically, as we gave up ghee, the West began to discover it. It’s now frequent enough that the West discovers the innumerable benefits of our ghee in their clarified butter. 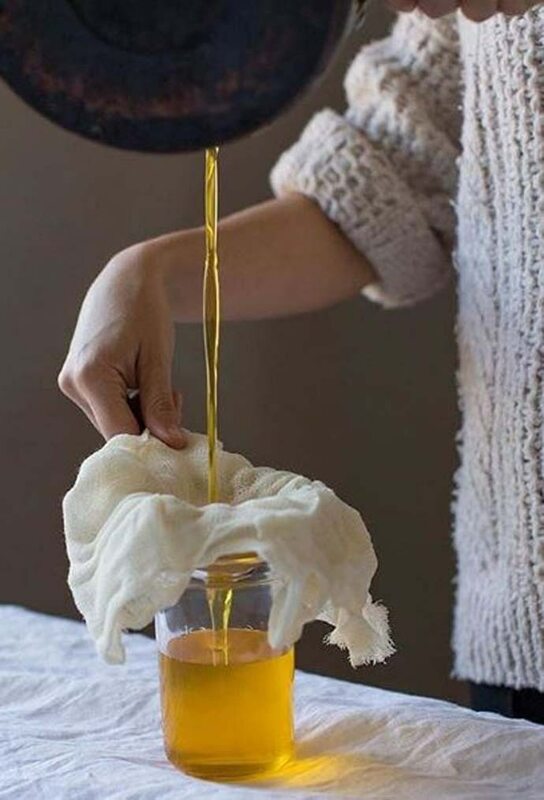 What is new is that we have to wake up (literally) every day to some new finding about ghee — which we were supposed to know about from time immemorial. The newest new thing is this: Ghee is dairy-free, thus lactose-non-threatening and easy to digest — it can be had in a Keto, Paleo diet too. There is no reason why one in India should not know what lactose or dairy intolerance is. According to a 2015 study, 82 per cent people in southern Indian states sampled were affected by lactose intolerance while the percentage was 66 in north Indian states. Lactose or dairy intolerance is when your body can’t digest milk products, which includes a lot of things, from sweets to baked goods, etc. Clearly, many of us in India have it. It's just that the West has discovered both lactose-intolerance, and ghee, faster than us — so, the West is now using ghee in baking, while we are quite unsure which zero-calorie baking spray to buy. They are using it as sandwich spreads as well, while we are now slowly welcoming back ghee in our kitchens, after watching Kareena Kapoor Khan promoting it with her nutritionist. Basically, now they are having ghee-roasted bread — which used to be our regular school tiffin before we moved on to fancy sandwiches, pasta and macaroni. The history of when and how ghee was banished from our kitchens, and refined oil came in, can be disputed, but there is no debate over the origin of ghee itself. 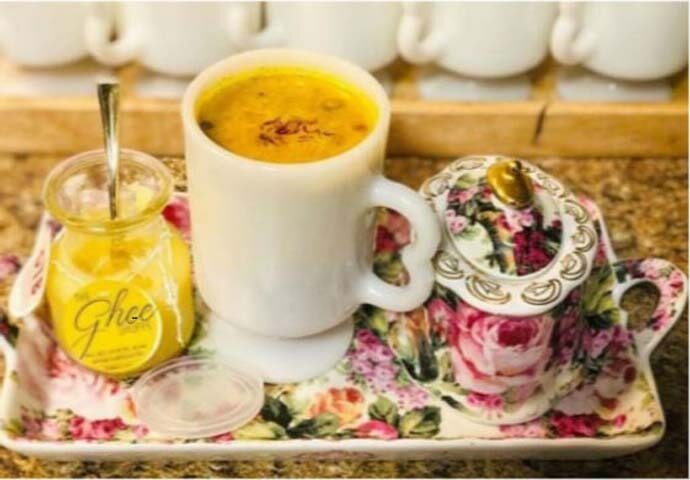 Ghee is Indian and it has many mentions in Ayurveda. And not to forget the Mahabharata itself — particularly the story of how the 100 Kauravas were born. The fable goes like this: After two years of pregnancy, Gandhari gave birth to a piece of flesh, which devastated her. Sage Vyasa then advised her to cut that into 100 pieces and place them in pots filled with ghee. We all know what happened after that and you can laugh at or debate over whether these were the first test-tube babies ever. But what is undisputable is that ghee is ancient. Ram Yug mein doodh mila, Krishna Yug mein ghee, Kalyug mein chai mile, khub daba ke pee. (The last two lines change depending on whether you are seeing the writing on the back of a lorry waiting outside a bar or a dhaba). But why is ghee even 'dairy-free' when it’s made from either milk or butter? Here's why. The traditional method is like this: You have to collect milk cream for a week (for that, you have to buy full-cream milk. Don’t try this with skimmed milk, please) and store that in the freezer. After a week, take that out and when it’s at room temperature, add curd to it and leave it overnight. Then it is to be mixed in a food processor with cold water. The watery part coming up is buttermilk and the rest is butter. This butter is to be now washed to separate milk from it. Then, the butter is to be melted and 'ghee' will be produced in form of bubbles. So, ghee does not actually have milk portions — or even if it has, it won’t impact lactose-intolerant people. A long process, but a short-cut can be starting from store-bought butter, as the West is encouraging us to do! The actual confusion probably started when we believed that cholesterol, not Kauravas, were born from ghee.